FLIR’s thermal imaging cameras based on infrared (IR) technology are available for mass commercial markets at affordable prices. FLIR i3 is a range of entry-level IR cameras designed for newcomers to thermography. The new pocket-sized, multipurpose and full-function i3 infrared cameras designed for building and electrical inspections join FLIR’s i5 and i7 models. The entry-level thermal imaging cameras feature a simple menu-driven operation and images are saved in the commonly used JPEG format in a standard SD memory card, which can be downloaded via a USB cable. Lightweight at just 340 grams, the value-packed FLIR i3 is manufactured ruggedly with built-in lens protection. 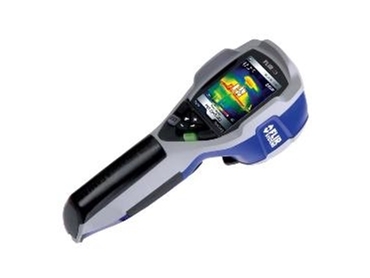 The i3 thermal imaging cameras deliver high quality commercial functionality IR technology at a price designed to suit the budgets of a wide range of end-users including electrical technicians, maintenance personnel and HVAC tradespeople. The i3 non-contact IR cameras are ideal for electrical applications and 100% safe for engineers to carry out inspection tasks avoiding potential injuries from arc-flash. i3’s thermal image is created from minimum 60x60 IR resolution, giving the user an instant ‘hot spot’ reading and temperature or heat distribution over the area.